703-844-0184 CALL FOR AN APPOINTMENT TODAY! People who abuse substances often say they take them to have fun or get high. It’s not that simple for addicts, though. An addicted person can no longer control whether or not he/she uses. Mentally and physically, the addict feels compelled to have the drug. Addiction is considered a chronic disease with the possibility of relapse an ever-present reality. Addiction is a disease that is complex but treatable. Prolonged drug use affects brain function. Illegal drugs are defined as controlled substances under federal and state law. They are monitored and enforced by the Drug Enforcement Agency (DEA). Marijuana is the most-used illicit drug, with 19.8 million U.S. users age 12 and over, according to the 2013 National Survey on Drug Use and Health (NSDUH), which is published by the Substance Abuse and Mental Health Services Administration (SAMHSA). Six-and-a-half million Americans use prescription pain relievers non-medically, and 1.5 million are dependent on or abusing cocaine, according to SAMHSA’s 2013 NSDUH survey. In 2013, 22.7 million people 12 and over who could have benefited from substance use treatment in a specialty facility did not receive that help. It’s a myth that someone must want to go into treatment for substance abuse for it to be effective, says the National Institute on Drug Abuse (NIDA). Your role models. Your early years, including your mother’s and father’s parenting styles and whether one or both parents or even an older sibling abused substances can affect whether you experiment with drugs and go on to develop an addiction. Our early role models, for good or ill, influence our behavior. They can also teach us appropriate ways to handle problems, bounce back and persevere; these coping skills make it less likely someone will develop an addiction. A family history of substance abuse is also linked to an increased risk. For more on the role of genetics, go the Risk Factors section. Your personal history. Stressful or traumatic events, living in poverty, the availability of illegal drugs, peer pressure and whether or not your friends and family use drugs – all are associated with a greater likelihood of developing a substance abuse problem. Your psychological makeup. How you feel about yourself, especially your self-esteem during adolescence, your temperament, a tendency toward impulsive behavior and exhibiting aggressive or antisocial behavior early in life are thought to forecast later drug or alcohol problems as well as a tendency toward violence. On the flip side, there are factors that can lower someone’s chances of having an addiction; these include developing good self-control, practicing religious beliefs, having healthy relationships with family and friends and being involved in social activities in the community, reports SAMSHA. Using a substance over a longer time period of time than planned? Making unsuccessful attempts to control or stop taking the drug(s)? Spending a lot of time finding, using or recovering from using a substance(s)? Experiencing cravings for a substance(s)? Failing to show up or fulfill expectations at work, school or home? Continuing to use an illegal substance(s) despite problems it’s causing in relationships? Giving up activities once enjoyed in order to use a drug(s)? Using a drug(s) regularly while in situations where it poses physical danger (such as driving, operating machinery or boating)? Ignoring physical or psychological problems resulting from drug use? Developing a tolerance for a drug’s effects? Experiencing withdrawal symptoms or masking them with another substance(s)? As mentioned above, your biological makeup has a lot to do with whether you’ll develop an addiction. In fact, the APA goes so far as to say that 50% of your susceptibility to becoming addicted is related to genetic factors. And when it comes to tobacco, genetics account for 75% of a person’s tendency to try smoking and 60% of their chances of becoming hooked. But DNA alone isn’t destiny. Besides the genes you’re born with, environmental factors, like how you were raised; whether you were sexually or physically abused; and whether you grew up in poverty or witnessed violence can also influence a person’s vulnerability to addiction. In 2013, nearly 9% of U.S. adolescents ages 12 to 17 were illicit drug users, and 1.3 million teens had a diagnosed SUD. While it’s possible to become an addict at any age, many teens are natural risk-takers, mostly because the parts of the brain in charge of self-control and good judgment are still developing in adolescence. That can make trying illicit drugs a lot more attractive. The trouble is, say experts at NIDA, “the earlier drug use begins, the more likely it will progress to more serious abuse.” And there’s some evidence to suggest that how a drug is taken – especially if it’s smoked or injected into a vein – may increase its risk of becoming addictive. There’s no single treatment that’s right for someone trying to overcome a substance addiction. Treatment for a substance use disorder (SUD) usually begins with detoxification or “detox” – a process during which the patient is medically supported while the substance(s) is removed from the person’s system. 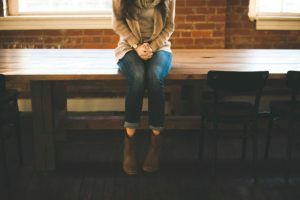 When someone enters treatment, one of the first things he/she may experience during the detox process is withdrawal, which can include physical symptoms such as nausea, diarrhea, shaking, fever, insomnia and sweating and/or psychological symptoms such as depression, anxiety, anger and upset. In some cases, a drug rehabilitation center will use FDA-approved medications to help counteract withdrawal symptoms with the goal of weaning the patient off the medication as soon as possible; although sometimes medication-assisted therapy is needed on a long-term basis to prevent cravings that can trigger drug-seeking behavior and relapse. While detox is the first step to any kind of treatment, counseling is also typically needed to achieve lasting results. Whether a substance use disorder is mild, moderate or severe, some kind of treatment is usually necessary, which makes it tragic that only a small number of those who need help actually get it. According to the Substance Abuse and Mental Health Services Administration’s National Survey on Drug Use and Health (2013), only 2.5 million people out of the 22.7 million people who needed treatment for drug or alcohol use actually received help at a specialty facility While there’s no cure for drug addiction, for most (though not all), abstinence or giving up the substance entirely is necessary. SMART Recovery® (Self-Management and Recovery Training): This community-support program has a four-point plan to teach self-reliance, and clients using SMART Recovery benefit from online support groups, message boards and chat rooms as well as in-person meetings to stay motivated in their recovery efforts. This treatment model uses a type of psychotherapy called cognitive-behavioral therapy (CBT) in which a therapist will help clients examine their thinking and feelings in an effort to change negative and unproductive thoughts and beliefs that may lead to drug use. Motivational incentives: For gains made in treatment, drug and alcohol counselors may offer a reward system to encourage patients to work hard in recovery. Rewards might be for a special privilege, outing or voucher. Motivational Interviewing (MI): Therapists who use MI help clients feel inspired and empowered to make needed life changes and to reach recovery goals. Multidimensional Family Therapy (MDFT): Sometimes the whole family needs to be willing to evaluate its dynamics in order to help one or more member(s) overcome an addiction and/or another mental health issue. MDFT involves the whole family in the healing process to improve relationships, end enabling behavior and create harmony. Sometimes the right option for treating drug addiction may be going to an inpatient or residential treatment center to live for a period of time. How long depends on the severity of the addiction, the kind of addiction(s) and the patient’s progress. These specialized facilities offer medically-supervised detox, which is a process to get drugs out of the bloodstream and tissues. In rehab, patients also receive intensive counseling to cope with triggers, cravings and any co-occurring mental health disorders. It’s helpful to think of rehab as a kind of retreat where the addict lives and works on learning to overcome triggers of addiction and manage any underlying mental disorders that require treatment along with the substance use disorder. There are also outpatient rehab programs where patients live at home but attend a drug treatment (or partial hospitalization) program during the day, which may last for seven or eight hours. Or you or your loved one may attend an evening program that meets several times a week for several hours in the evenings only. With outpatient day or evening programs, patients sleep at home, which can be successful as long as drug networks, old haunts and triggers don’t interfere with the progress of treatment. While in treatment, patients in these programs, too, work on understanding their addiction and any mental health issues through counseling. Christian programs address drug addiction with a Bible-based approach, so attendees can find strength through faith. Treatment may include counseling and 12-step or other community-support programs, yet the focus on scripture allows members of these programs to be guided to recovery in large part through their beliefs. Women-only programs address both the substance use disorder as well as any past history of abuse or trauma or mental illness that may underpin a drug addiction. Adolescent programs tend to be gender-specific and allow teens a safe place where they can work to overcome drug addiction while also attending classes, so they don’t fall behind in school during treatment. Spanish-speaking programs make treatment more relatable for those who speak English as a second language. Counselors, too, speak Spanish, and all written materials are printed in Spanish. Methadone – (brand names: Dolophine or Methadose): Used to prevent withdrawal symptoms and to block the high from taking illicit opiates. Only authorized, specially licensed facilities can administer methadone maintenance. Naltrexone – (brand names: Depade, Revia, and Vivitrol): All three block the effects of opioids; Vivitrol is an extended-release injection, given once a month. Naloxone – (brand name: Suboxone): Prescribed as a maintenance medication that contains buprenorphine as well, Suboxone blocks or reverses the effects of opioids. For opioid overdoses, Evzio, an auto-injector containing naloxone, is available for emergency home use. While there are other prescription medications in the drug pipeline and now being tested, there are no drugs currently available for the treatment of cocaine, methamphetamine, cannabis (marijuana) or hallucinogen use disorders. These 12-step programs borrow at least in part from the AA model, which is based on 12 consecutive processes (each step building on the one(s) preceding it). The steps include minimizing self-centeredness, providing support to others in the group and making amends to those whom the substance abuser has hurt, among others. For a full list of the 12 steps, go to the Get Help section. While some addicts rely solely on 12-step programs to treat and recover from their drug addiction, others use it in conjunction with counseling. And often 12-step programs are included as part of inpatient and outpatient drug rehabilitation. For tobacco/nicotine: For tobacco products containing highly addictive nicotine, several nicotine replacement therapies are available over-the-counter at drugstores. These include nicotine patches, sprays, gums and lozenges that alleviate drug cravings. Prescription drugs such as bupropion (brand names: Wellbutrin, Zyban) and varenicline (brand name: Chantix) are also FDA-approved. If you find yourself asking the question, Am I addicted to drugs? you should take the answer to that question very seriously. Unless recognized and treated, an addiction to a medication or illicit/illegal drug can greatly diminish your chances of leading a functional life, maintaining a daily routine or experiencing an enduring sense of well-being. Fortunately, you can perform a fairly accurate self-assessment of your drug-using status if you know the signs that indicate active addiction. The potential for drug (and alcohol) addiction arises when your brain starts to treat the chemical changes triggered by your habitual substance intake as a normal operating condition. Experts in the field refer to this state as physical dependence. Physical dependence transitions into active addiction when you lose control over your ability to limit the number of times you use a given substance and/or your ability to limit the amount of that substance you take on any given occasion. When trying to figure out if you are addicted to drugs, it’s crucial to understand that doctors and public health officials don’t make a firm distinction between drug addiction and non-addicted drug abuse. Even if you don’t have problems with physical dependence, you can experience changes in your thoughts and behaviors that significantly interfere with your ability to function or maintain a feeling of wellness. In fact, the guidelines currently used by doctors in the U.S. include the symptoms of addiction and non-addicted substance abuse in a single illness category called substance use disorder. There are subtypes of this disorder for alcohol and every major addictive drug/medication.